When you want to really get the complete protection Download McAfee LifeSave. It’s the most versatile and one of the bestselling computer protection software ever. Not only does it protect your computer from harmful files, malware, phishing attacks, spyware, but it also does it cross-platform (across any computer and mobile devices) and it also enables a secure cloud storage where you can store all of your important files, photos and documents so you can access them from anywhere. When you purchase this cheap computer security package you get tons of versatile benefits. Faster performance The PC optimization tools are here to speed up your computer’s performance and remove any harmful files. The LiveSafe security software also includes protection for Apple Macs, iOS phones and tablets, Android phones for up to 5 users. 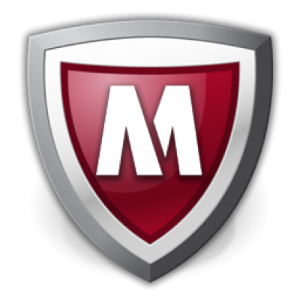 Safe internet browsing Besides the McAfee WebAdvisor, there is the social media guard and anti-spam security (for safe use of social media and email clean from phishing and spam). Parents can also setup boundaries and control their kids computer and internet usage to protect data theft and intruders. At the end, if you still don’t want to keep your most important files on your PC, use the McAfee LifeSave cloud storage to keep your most sensitive data secure on their encrypted cloud storage. This also gives you benefit to access the files from anywhere. This is still one of the best go-to solutions for a complete home computer and mobile devices security! Protect your devices Protect a limitless number of devices for you, your family and friends. Across all devices One security solution for your desktop, tablet, mobile and wearable technology. Centrally managed Secure all your devices from one simple-to-use console. One single subscription Just one subscription covers all your security needs. Customised protection Guard - Customise the level of protection to your needs. Control network access Monitor what information travels between devices on your network. Sophisticated filters Block suspicious incoming internet traffic and programs trying to steal your data. Phishing protection Detect emails that expose you to malware or trick you into giving away your data. Anti-spyware Stop spyware infecting your devices and sharing your data with third parties. Anti-spam filtering Prevent unsolicited emails from reaching your inbox.